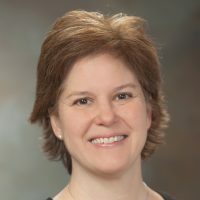 Katherine McKenzie is a faculty member at Yale School of Medicine and the director of the Yale Center for Asylum Medicine (YCAM), and has practiced at Yale Internal Medicine Associates and at the Yale Primary Care Center for over 20 years. She teaches undergraduates, medical students, and residents at Yale, and is an attending physician in the Yale Refugee Clinic. She has an interest in caring for underserved patients and being a physician advocate for social justice. Dr. McKenzie has been the director of YCAM since 2007. As a volunteer expert for Physicians for Human Rights, she performs medical forensic evaluations and testifies in court as an expert witness for asylum seekers referred by law schools, human rights organizations, and immigration attorneys. She has trained clinicians nationally to perform medical examinations of asylum seekers and has written reviews, clinical cases, and opinion pieces on asylum medicine in publications including the Journal of General Internal Medicine, the British Medical Journal, the Journal of Forensic and Legal Medicine, Time and CNN, among others. At Yale, Dr. McKenzie received the Leonard B. Tow Award for Humanism in Medicine and the Faculty Award for Achievement in Clinical Care, and has been named a “Top Doctor” for many years by Connecticut magazine. Dr. McKenzie earned a bachelor’s degree in Molecular, Cellular and Development Biology at the University of Colorado. She received her medical degree from Boston University and completed her internship and residency in internal medicine at University Hospital in Boston. She has been board certified with the American Board of Internal Medicine since 1995.